Jordanie - Are lead tablets discovered in a remote cave the secret writings about the last years of Jesus? Are lead tablets discovered in a remote cave in Jordan the secret writings about the last years of Jesus? Artefacts discovered in a remote cave in Jordan could hold a contemporary account of the last years of Jesus. The find of scrolls and 70 lead codices - tiny credit-card-sized volumes containing ancient Hebrew script talking of the Messiah and the Resurrection - has excited biblical scholars. Much of the writing is in code, but experts have deciphered images, symbols and a few words and the texts could be 2,000 years old. 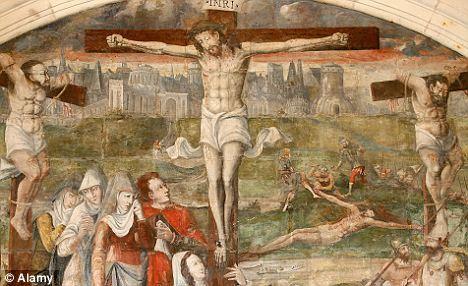 A 16th century painting depicting Jesus's death. Some academics are sceptical about the discovery because there have been numerous hoaxes and sophisticated fakes produced over the years. Many of the codices are sealed which suggests that they could be secret writings referred to in the apocryphal Book of Ezra - an appendage to some versions of the Bible. Texts have been written on little sheets of lead bound together with wire. The treasure trove was found five years ago by an Israeli Bedouin and may have been around since the 1st century, around the time of Jesus's crucifixion and Resurrection. A number of experts have examined the writings, including Margaret Barker, a former president of the Society for Old testament Study with a renowned knowledge of early Christian studies. She told the Sunday Times how the intrigue surrounding the artefacts was similar to the black market secrecy with the discovery of the Dead Sea scrolls. There is a thriving market in Middle Eastern antiquities and many shadowy figures involved. One archeologist has allegedly received death threats. She has had access to photgraphs taken of the codices and scrolls, and is wary of confirming their authenticity. But she said if the material is genuine then the books could be 'vital and unique' evidence of the earliest Christians. 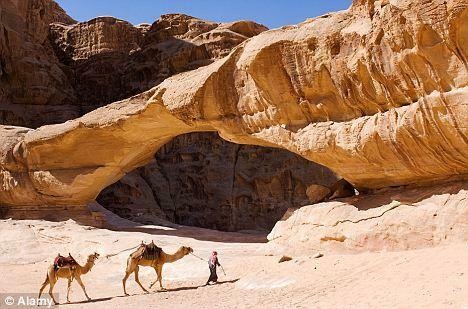 The owner of the cache is a Bedouin named Hassan Saeda who lives in the village of Um-al-Ghanam in the north of Israel,according to the Sunday Times. He is believed to have obtained them after they were discovered in northern Jordan. Two samples were sent to a laboratory in England where they were examined by Peter Northover, head of the materials science-based archaeology group. However, Philip Davies, emeritus professor of biblical studies at Sheffield University is convinced the codices are genuine after studying one. 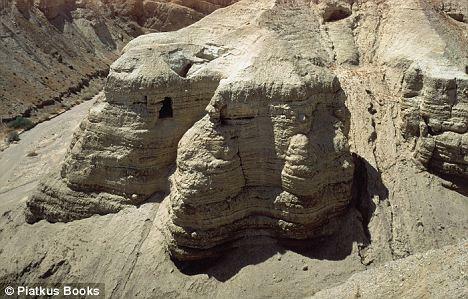 The Dead Sea Scrolls, counted among the most important archaeological finds of the modern era, were discovered in a cave by a Bedouin shepherd in the West Bank. The scrolls consist of 30,000 separate fragments making up 900 manuscripts of biblical texts and religious writings from the time of Jesus. The fragile parchment and papyrus fragments have been the subject of intense study for more than half a century by an international team of scholars who are still trying to understand the significance of some 30 per cent of the texts which are not included in the Bible or any other previously known religious writings. The scrolls include the earliest known copy of the Ten Commandments, an almost complete Book of Isaiah and many of the Psalms. Some of the texts were damaged by well-intentioned restoration attempts since the 1950s that included the use of Sellotape, rice paper and perspex glue.